Attach print 1 file. 1 MB max upload. (Larger files please email to service@kinandpebble.com include order number). Attach print file 2. 1 MB max upload. 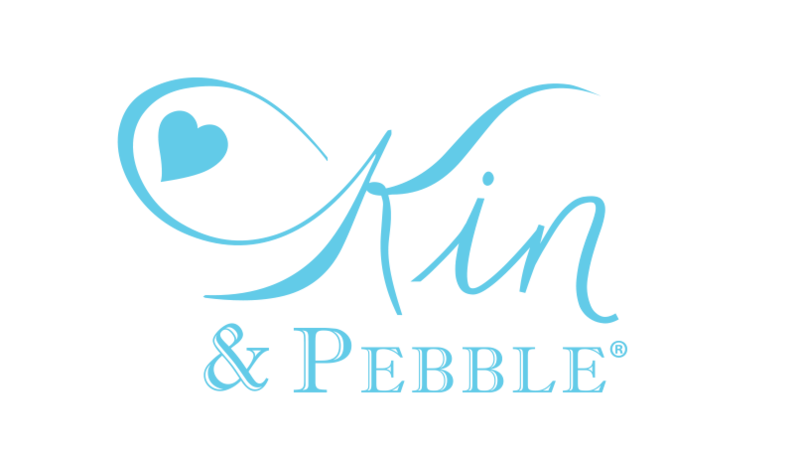 (Larger files please email to service@kinandpebble.com include order number). 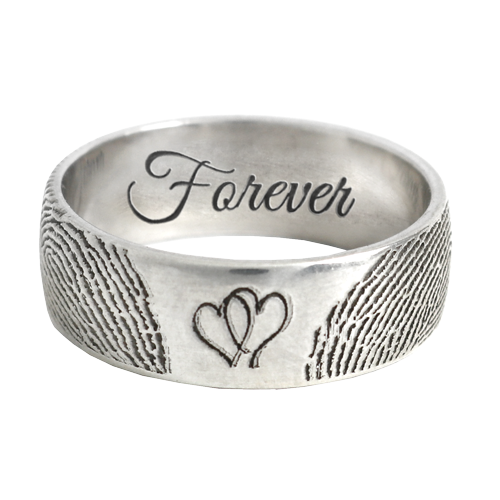 A classic band ring engraved with two fingerprints joined together with 2 sweet hearts. 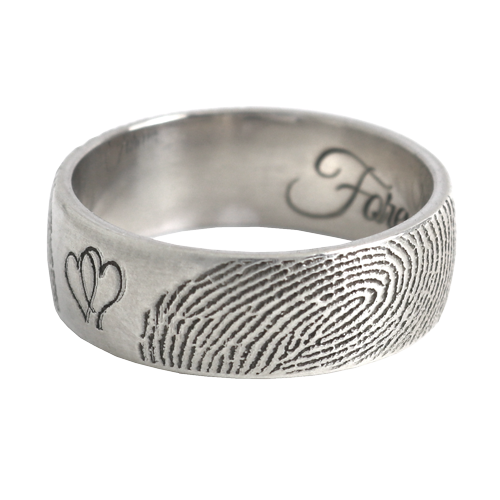 The inner band may be engraved for an additional cost. 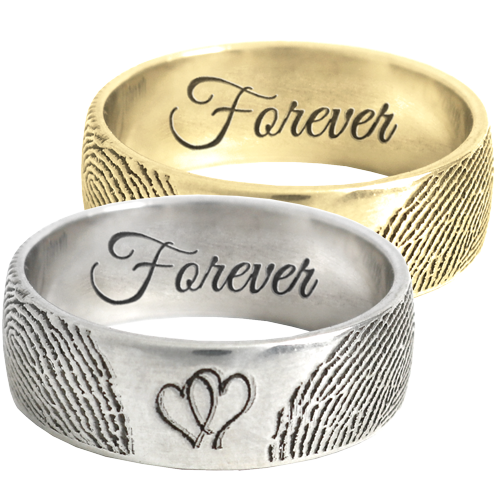 Please allow 3-5 business days for sterling silver and additional 4-5 weeks for solid 14k gold or platinum orders. 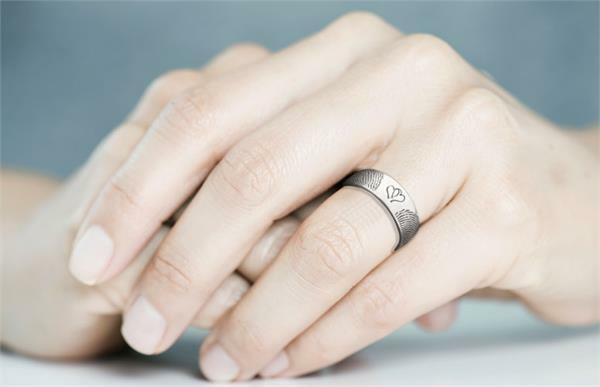 Download our ring sizer to help find your ring size.